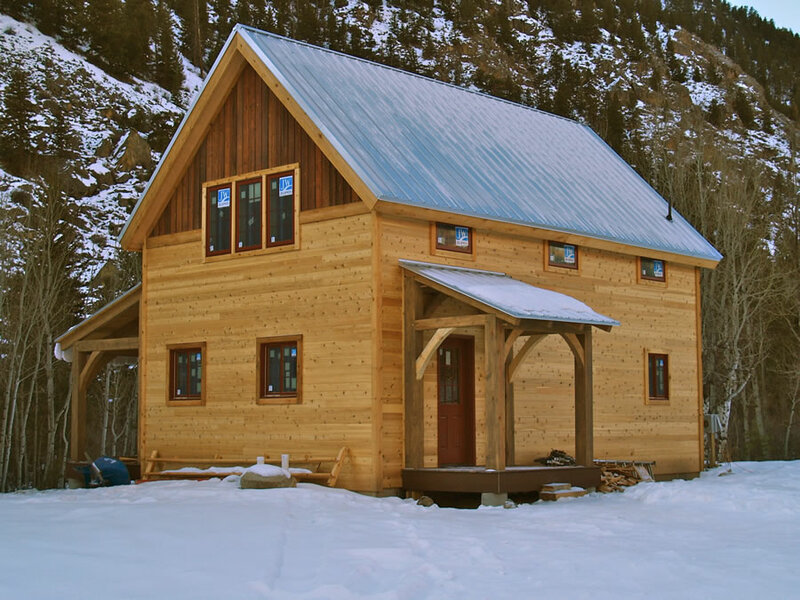 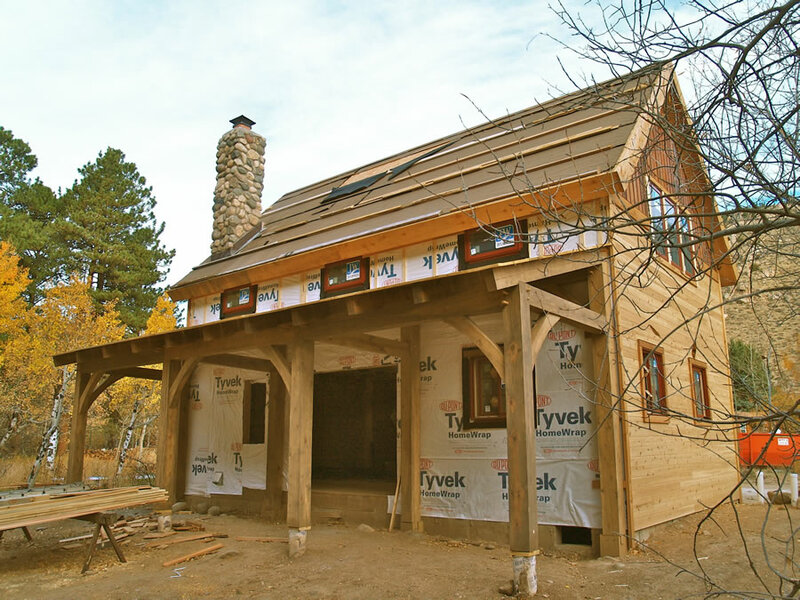 Timber frame rustic cabin along the Poudre River. 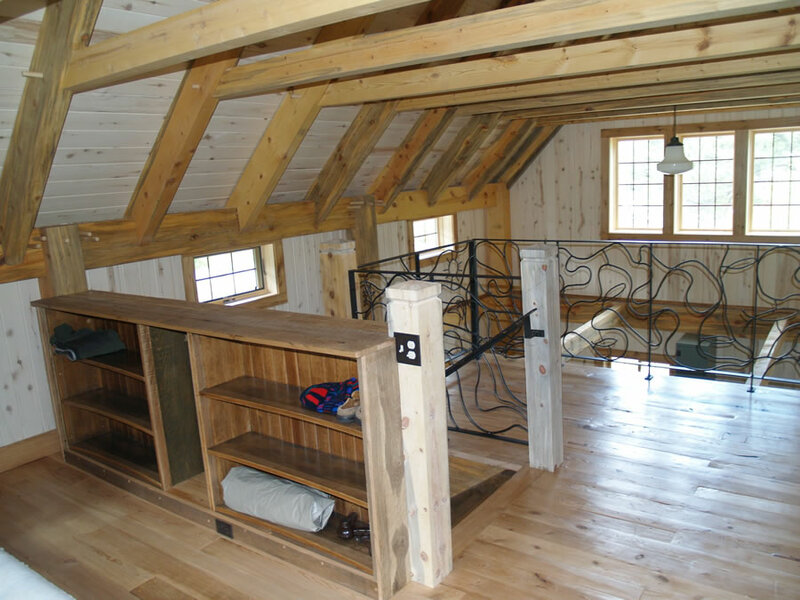 Beetle kill pine frame, hand planed, sanded and oiled. 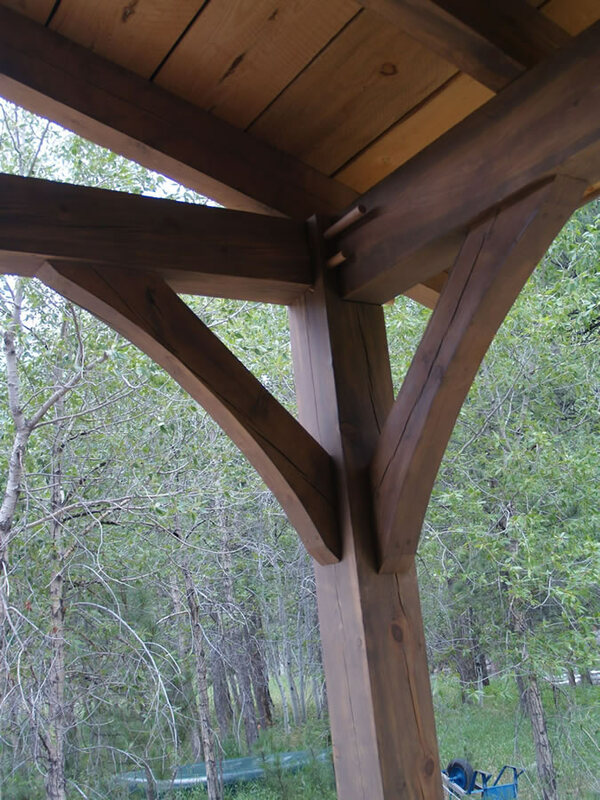 Exterior timbers also pine with exterior stain finishes. 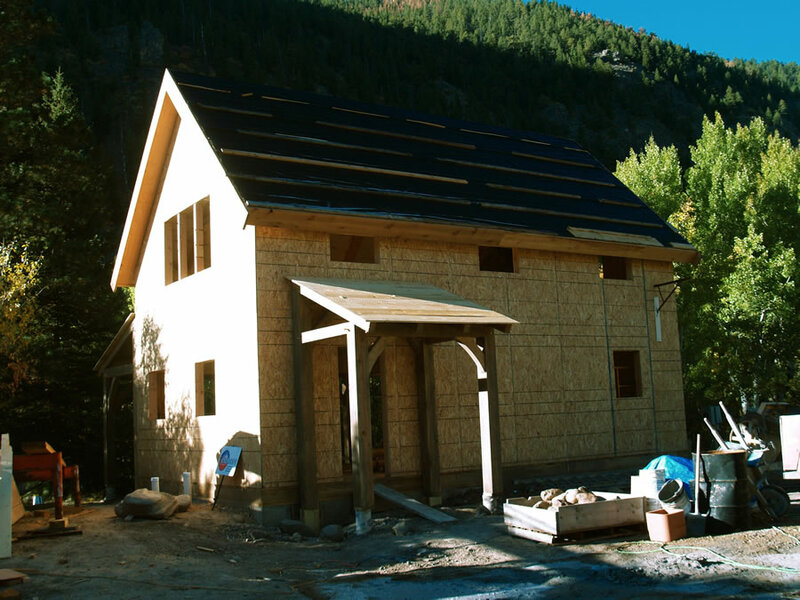 Frame enclosed with SIPs panels, walls and roof. 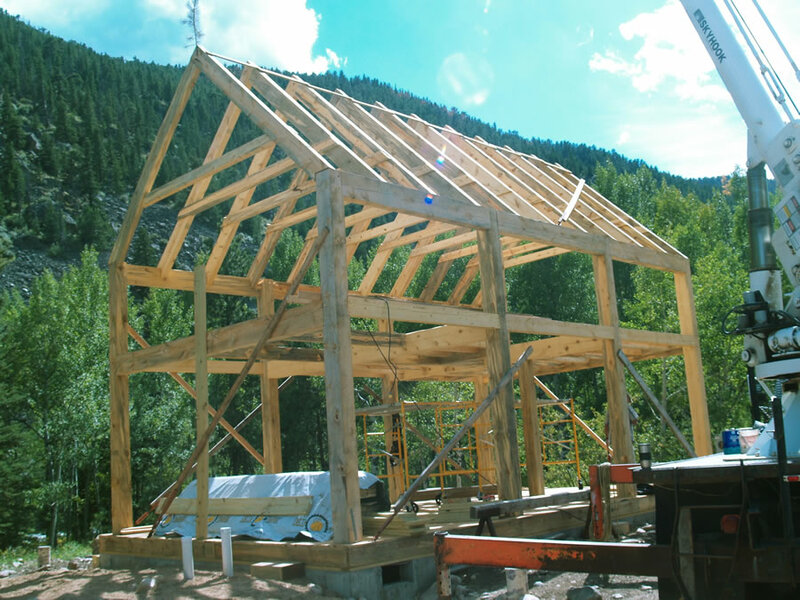 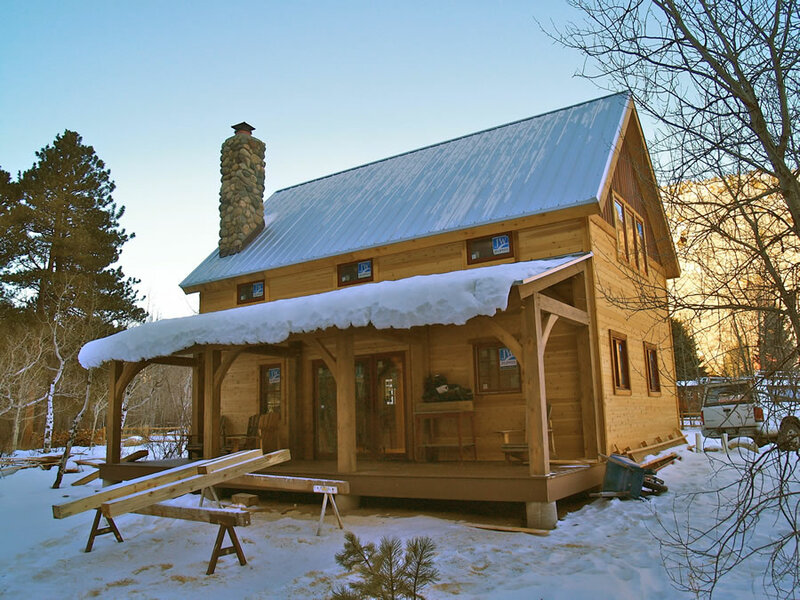 Cathedral ceiling finish is aspen 1×6 tongue in groove atop timber rafters, SIPs roof panels installed atop roof decking. 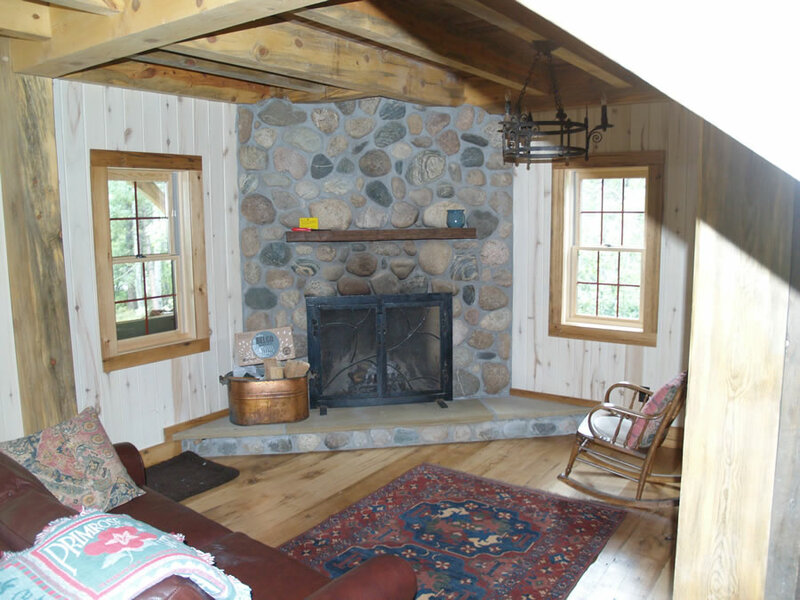 Aspen 1×6 also used for wall finishes. 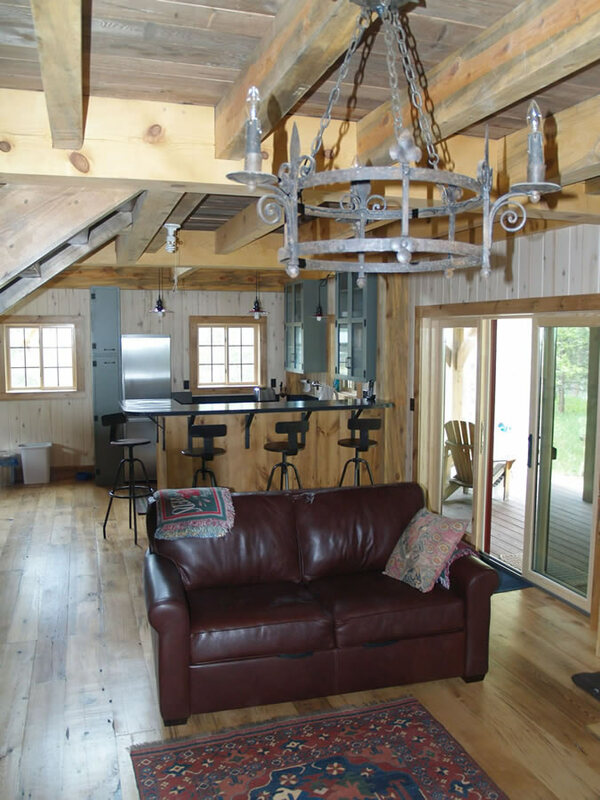 Some of the exterior siding is reclaimed barn board materials. 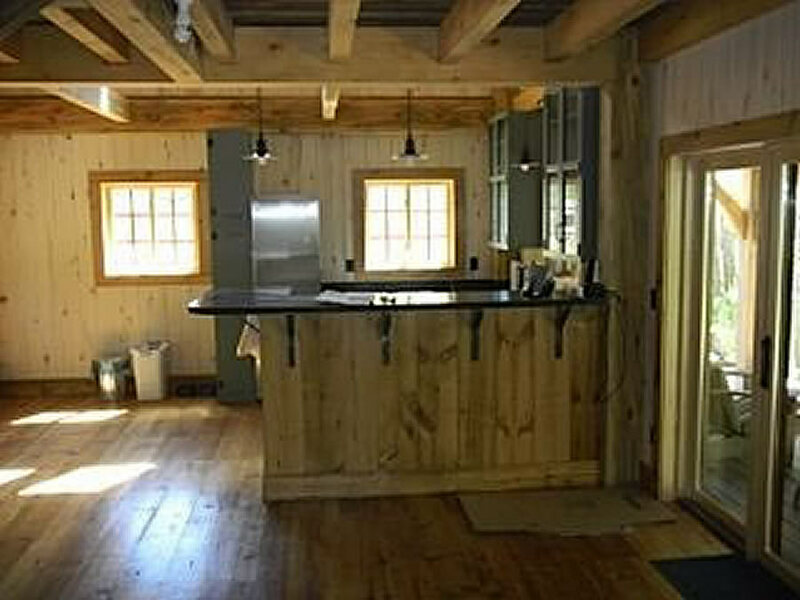 Interior floors and trim also reclaimed lumber. 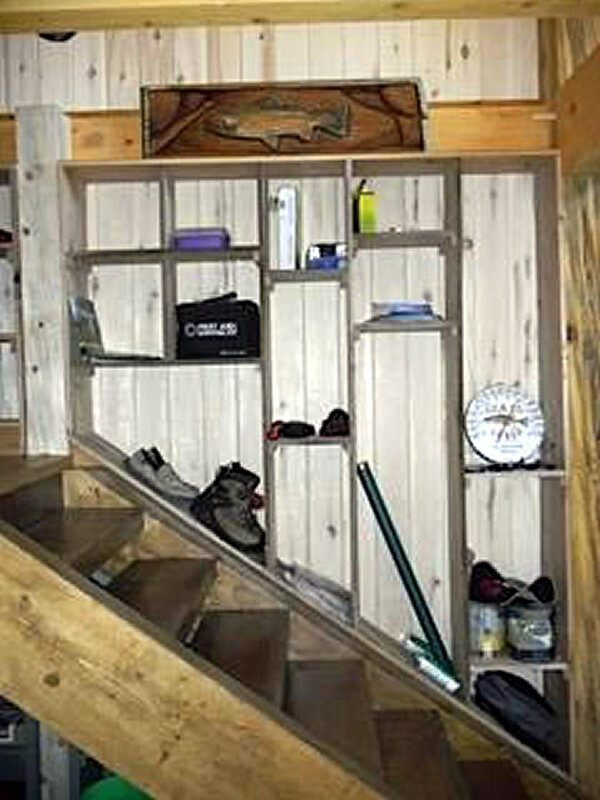 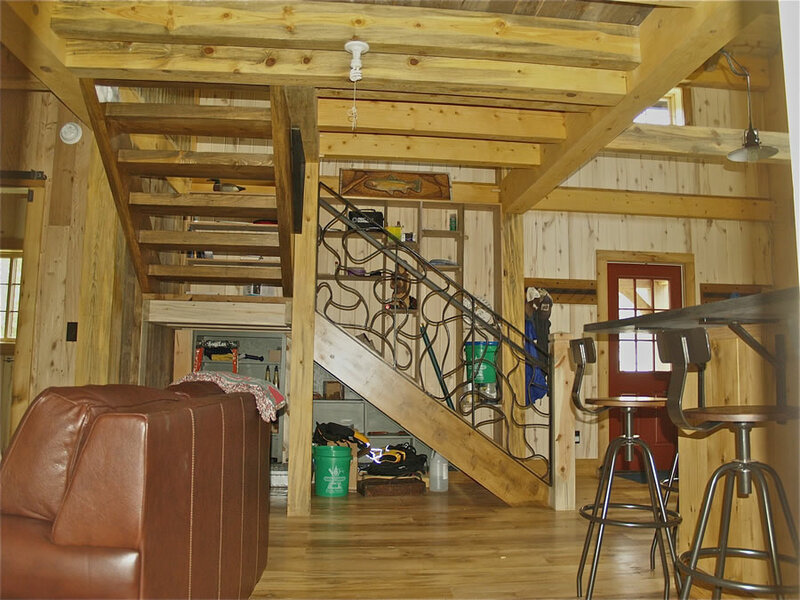 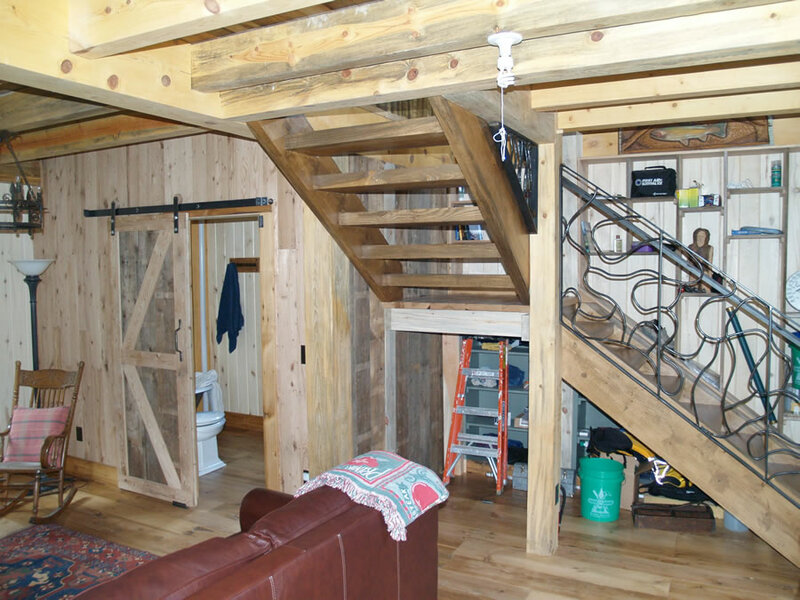 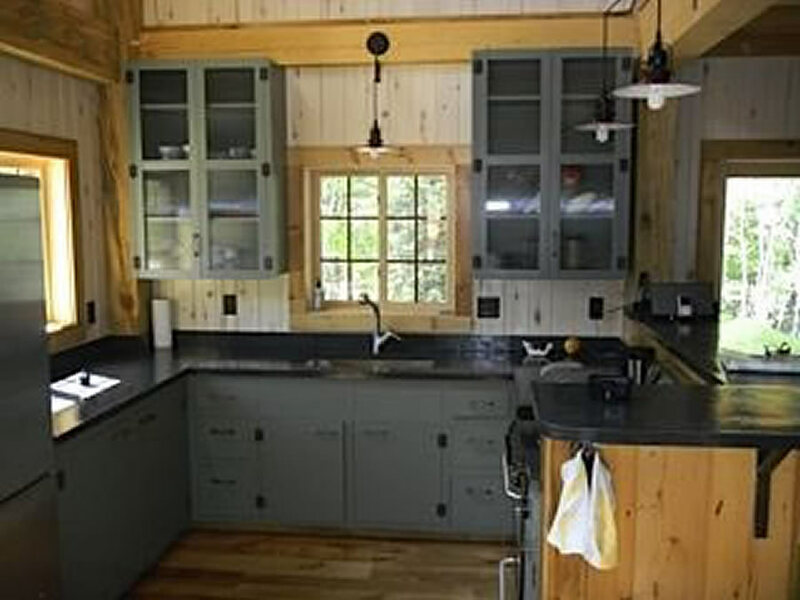 Site built cabinets and storage shelves throughout, pine timbers used for site built custom stairs. 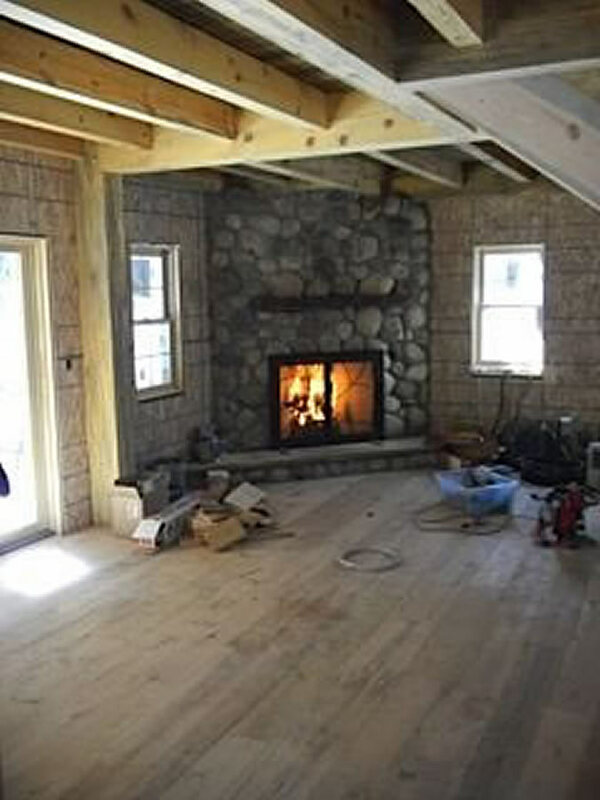 Rumford Fireplace built using site gathered river rock.